The last bank holiday of the summer may be over but that doesn’t mean you can’t make the most of your weekend. For such a small country Ireland really does have a lot to offer in terms of adventure, entertainment and general craic. This weekend make the trip to Bray, Co Wicklow. Nestled between the Wicklow Mountains to the west and the Irish Sea to the east, Bray is a bustling seaside town. Every summer in Bray there are a number of activities taking place in the town including live music on the bandstand by the beach and a fun fair. Bray is easily accessible from Dublin city centre with the 145 Dublin Bus route taking you from Heuston Train Station to Bray Main Street and the Dart taking you from Connolly Train Station to Bray Station. The journey takes between 40 minutes and one hour. 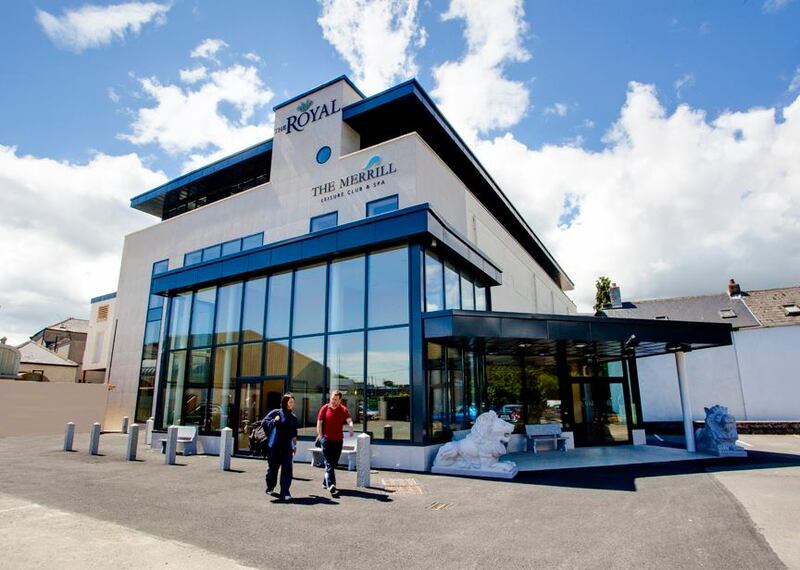 The Royal Hotel: Located right on the main street The Royal Hotel stands on the site of the oldest hotel in Bray. The building has since been renovated to extend the hotel and to build a leisure centre complete with pool, gym and spa. There is a bus stop right outside the hotel where buses go to and from the city centre, Greystones and Dun Laoghaire. The Dart is a five to 10-minute walk away. If you’re lucky enough to not have to work on Friday start your weekend in Bray a day early. This colourful little Pakistani restaurant has both indoor and outdoor seating and is located right across from the beach. They have several options for vegans and vegetarians available too. They also have a full drinks menu including cocktails. Just bring some warm clothes, snacks and maybe a blanket and enjoy a classic movie with the stars as a backdrop. Situated in a natural forest on the grounds of Kilruddery House and Gardens Squirrel’s Scramble Tree Adventure Park has a zip line and more than 40 different challenges to climb, balance, slide and crawl. See their website for more information and booking. 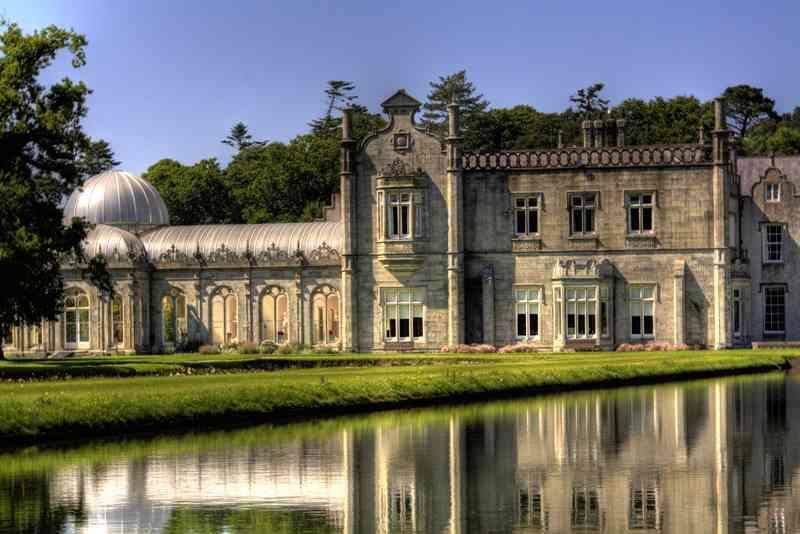 The Kilruddery House Tearooms serve a selection of scones and cakes and tea and coffee and opens at 9.30. From noon they serve soup, sausage rolls, and sandwiches from noon. The majority of food served here is grown on the estate. Everything else is from local producers. There is a picnic area on the estate and food from the Tearooms is available to take away for picnics. Visitors to the Estate can also bring their own picnic to eat in the picnic area. There is an entrance fee to the house and gardens of €7.50 for adults and €2 for children under 12. Depending on your energy levels you might like a shorter or longer walk. The Bray to Greystones Cliff Walk is about seven kilometres and brings you right around the outside of Bray Head. The walk is mostly flat with a few hills along the way. It is suitable for all abilities. You will arrive in the seaside village of Greystones. Here there are a number of cafes and restaurants should you want to refuel before your hike back along the same route. If you don’t want to walk back you can get the Dart from Greystones back to Bray. It will take about 3-4 hours there and back. The cliff walk starts at the end of Bray Seafront. You walk towards Bray Head and stay on the main path which brings you around the edge of the hill. If you prefer a short but sweet walk climbing Bray Head takes about an hour up and back and you will get fantastic views of Bray and Dublin Bay to the north, the beginning of the Wicklow mountains to the west and the Wicklow coastline to the south. You start the Bray Head climb at the end of the seafront similar to the cliff walk. However, you must turn off the cliff walk as it veers around to the left. There is a gap in the wall to the right of the path leading through to steps to begin your ascent. This is the only building right on the beach and Butler and Barry takes full advantage of this. Almost the whole wall facing the sea is made of glass meaning you will get some form of a sea view wherever you are sitting. Reservations are possible and are prioritised for a window seat. The extensive menu has quite a variety with everything from steak and seafood to vegan “chicken” wings. Food is served until 21.30. 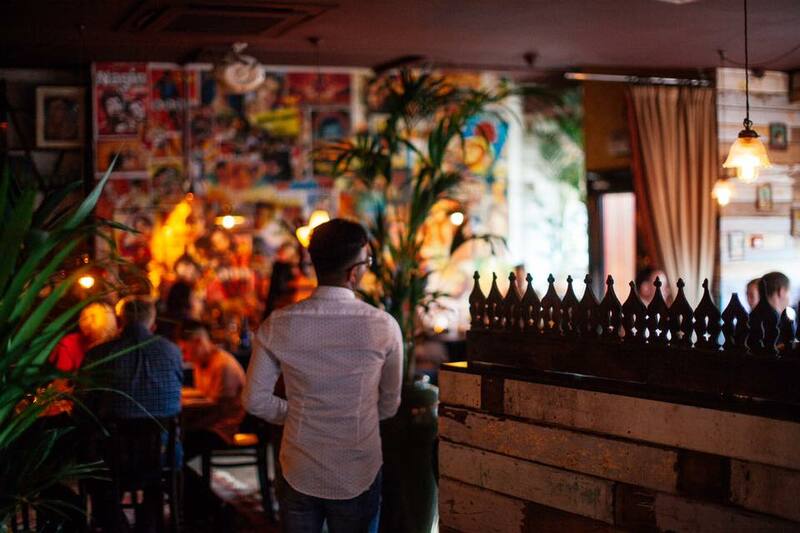 On weekends the restaurant becomes a late bar with a DJ and/or live music. The Martello Hotel and Bar is hosting Bray’s first Bubbles Festival this weekend. The event starts tonight and runs until Sunday. As part of the event, there will be live music, a selection of Prosecco cocktails and candy floss. 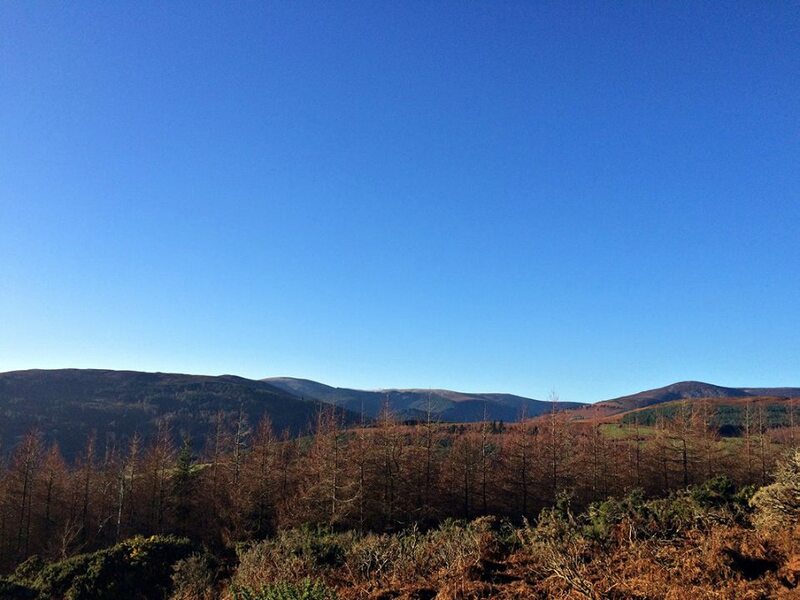 Bray is right on the doorstep of the Wicklow Mountains National Park. For a lot of the mountains, you will need a car to get to the trailhead. There are some options using public transport, however. The St Kevin’s Bus Service operates two to three daily routes between Dublin city centre and Glendalough via Bray. The bus stop is by Bray Old Town Hall, which is now a Mc Donald’s. The bus leaves Bray on a Saturday afternoon at 12.10. The returning bus leaves Glendalough at 17.40. Make sure not to miss this as this is the last bus of the evening. The journey takes about 40 minutes. If you want to drive to Glendalough the drive takes about 40 minutes and there is a lot of car parking there, although some of it is pay parking. In Glendalough there are nine waymarked trails from a short half hour stroll to a four-hour hike. Each trail is marked with a different coloured arrow. All the walks start and finish at the National Park Information Office near the Upper Lake. There is a board here detailing each walk. Map leaflets of the trails are available from the National Park Information Office for €0.50. Alternatively, summit Wicklow’s highest mountain. 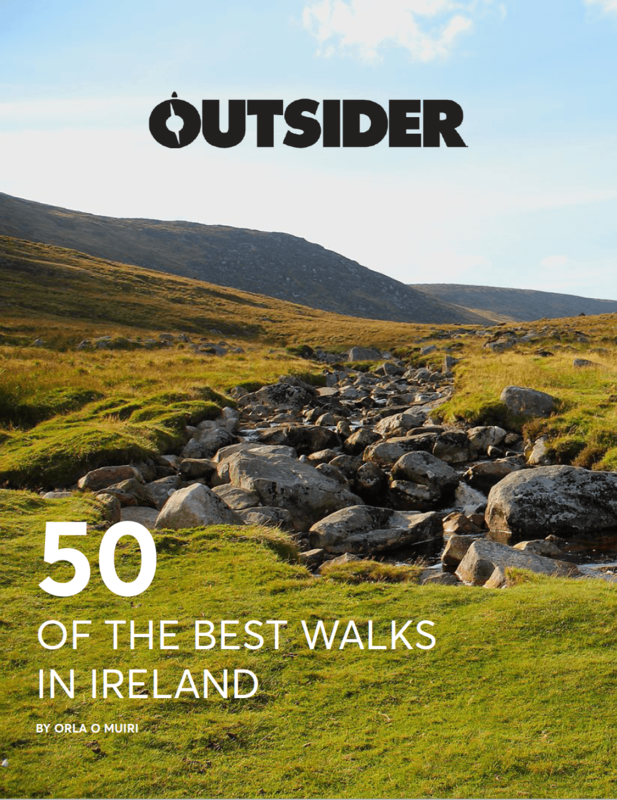 Hike through the wilderness of the Garden of Ireland to climb Lugnaquilla. This is a much more challenging hike suitable for experienced walkers capable of navigating and looking after themselves should the weather turn. The trails aren’t marked on the mountain. There are three start points: Fentons Pub, Glen of Imaal (52.983687,-6.553008), Baravore car park, Glenmalure (52.988105,-6.413061) and Aughavannagh (52.915838,-6.431515). It is just over an hours drive to the start points. For more information on climbing Lugnaquilla click here. As you will be out for the day the best idea is to pack a picnic. Mix’d is a self-service salad bar in Bray where you can pack yourself up a wholesome salad before you leave in the morning. They open from 9.00 on Saturdays. Located on Bray main street this cosy little restaurant serves breakfast, lunch and dinner. Their freshly made woodfired pizzas are their speciality and perfect to refuel after a day in the mountains. They open until 21.30. Voted Best Pub in The World by Lonely Planet the harbour bar is a cosy, quirky pub located right across from Bray Harbour. A visit to Bray wouldn’t be complete without it. There are several rooms and areas so make sure to explore while you are here. They have a selection of local and international craft beers as well as the trusted old favourites. They have live music every weekend in one room and a trad session in another. On Saturday eight-piece funk band Bring Out the Chimp will be playing from 21.00. Finish your weekend in Bray with a splash. Bray Adventures offers kayaking, stand up paddle boarding, raft building, surfing, hill walking, rock climbing and abseiling and their newest, exciting activity: coasteering (available to groups of eight or more). Book in for an exhilarating journey along the coast or a relaxing paddle, it’s up to you. For more information contact Bray Adventures. Rated 4.5/5 on TripAdvisor Boxburger has taken the traditional fast food item and given it a makeover. Burgers available include the Mac and Cheese Beef Burger and the Seitan Vegan Burger complete with vegan cheese. Other non-burger options include tacos and salads. Sit outside on a nice day and take in views of Bray Head and the sea. The promenade stretches from the harbour to the foot of Bray Head and is just over a kilometre in length. About halfway along the prom there is a bandstand. This Sunday at 14.30 the Dublin Airport Police Fire Service Band will be playing there. Finish your weekend in Bray with some music followed by a walk along the beach.